Tasty little pizza-style bites for a dozen in just under 15 minutes? Yup—and that includes the microwave time to melt the cheese. 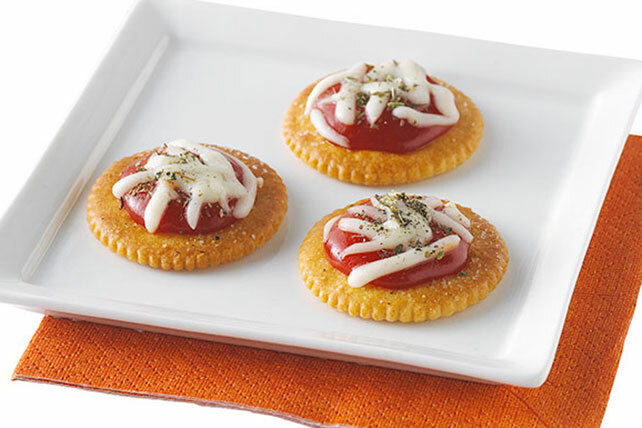 Place 6 topped crackers on microwaveable plate. Microwave on HIGH 15 sec. or until cheese is melted. Substitute pizza or pasta sauce for the ketchup.